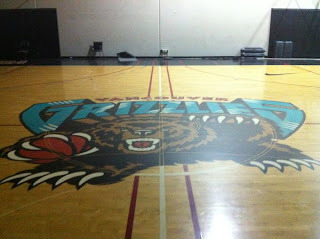 The Vancouver Grizzlies practice court, located at Gold's Gym Richmond was posted on Craigslist on Friday. It was listed for $13,000. The new owner's of Gold's Gym has no plans of keeping the court and has listed it on the popular website. There are no plans to preserve the court in the BC Sports Hall of Fame. The court's listing can be found here. NBA Vancouver. Simple theme. Powered by Blogger.